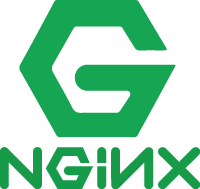 Nginx is one of the most popular web servers around. It is already the web server of choice for millions of people and companies around the world. Here at HTPC Guides we are mostly interested in its excellent reverse proxy capabilities that we use for BitTorrent clients like Deluge and Transmission, and automation tools like Sonarr, CouchPotato and SickRage. It also works perfectly with ownCloud to create your own private cloud server. Each web server can operate on insecure, unencrypted http protocol: all the information between the server and the client is sent unencrypted, it can be easily intercepted by third party. Nginx can be configured to accept connection only through a secure https connection that requires TLS/SSL certificates. Thanks to the great work done at Let’s Encrypt, we can now have valid signed certificates for free! We can harden the nginx SSL configuration options to get a secure home web server running a reverse proxy. In this guide, we will show you how to configure nginx with Let’ Encrypt, and how to secure your nginx web server & reverse proxy. This guide is written for and tested on Ubuntu Server 16.04 LTS. It might work on other Linux distributions too, but it is possible that some additional packages are required. Modify the nginx configuration so that unencrypted http requests are automatically redirected to encrypted https. Include the required reverse proxy configuration blocks for the services covered by our guides. You will need only to uncomment the blocks you wish to enable, simple as that! When using a reverse proxy you will need a domain name that resolves to your home IP address. One way is to have a static public IP address assigned to you by your ISP and have a domain name associated with your static public IP address. For home use this is rare, most ISP’s charge you extra for this, and unless you really need a static IP address from your ISP, there is no need to pay for it. Most likely you have a dynamically assigned public IP address, therefore you will need to use a Dynamic DNS service that will always update and associate your current public IP address with the free subdomain for your server. There are great free Dynamic DNS services available like AfraidDNS, FreeDNS or DNSExit. I strongly recommend to configure Dynamic DNS on your router! For Asus routers you can take a look at our guide Use Afraid Custom Dynamic DNS on Asus Routers. To configure any router with DD-WRT firmware, take a look at the DD-WRT Dynamic DNS page or the guide on FreeDNS here. Alternatively you can configure Dynamic DNS on your Linux server by following our guide Nag Free Dynamic DNS on Raspberry Pi. Again, I strongly recommend to configure the Dynamic DNS on the router and not on the server. The free Dynamic DNS providers also offer you a free subdomain (Second Level Domain), which is excellent for our purposes. Using their free service, your Second Level Domain will always be associated with your public IP address, and you don’t need to buy a Top-Level Domain (although you can get a Top-Level Domain name for a reasonable price if you want a domain name like mydomainname.com). This guide assumes that you don’t have nginx installed on your system. If you have, make sure you do a backup of your nginx configuration files before you proceed with this guide! Of course, if you know what you are doing, feel free to integrate the below steps to your existing nginx configuration. Now we have the required minimum nginx configuration to proceed with obtaining the certificates. “Let’s Encrypt is a free, automated, and open certificate authority (CA), run for the public’s benefit. Let’s Encrypt is a service provided by the Internet Security Research Group (ISRG)“. Before Let’s Encrypt, if you wanted to use a TLS/SSL certificate to encrypt your site, you either had to pay for it or to create a self-signed certificate. A one website SSL Certificate would costs you around $70-100/year, not so cheap. A self-signed certificate is free, but since the SSL certificate is not from a Certified Authority you will get warnings that the SSL certificate is not trusted (however, there is no reason not to trust a certificate that you have created yourself). Thanks to Let’s Encrypt, we can now get a valid TLS/SSL certificate signed by a Certified Authority for free e! This is really great news: let’s make the web a safer place by using the free SSL certificates! Important: Let’s Encrypt provides rate limits to ensure fair usage by as many people as possible. These limits are changing, you can find the latest limits at this link. In practice this might result that the free Second Level Domain you use as your dynamic DNS address has already reached the weekly rate limit, and you will not be able to request the certificate. This should be not common, however, if you encounter a rate limit, you either have to wait until the next week (rates are on per weekly basis) or you can try to choose a new domain name. We will use the Webroot plugin to obtain the certificates since the plugin for nginx is still experimental. The Webroot plugin will place a special file in the /.well-known directory of your document root, and this will be accessed through nginx by Certbot for validation. This is exactly what we created few lines above in the Install and Configure nginx section which just contains a simple configuration that has access to the /.well-known directory. Next we will run Certbot to request the certificate. Make sure you replace the Dynamic DNS address marked with red with yours! 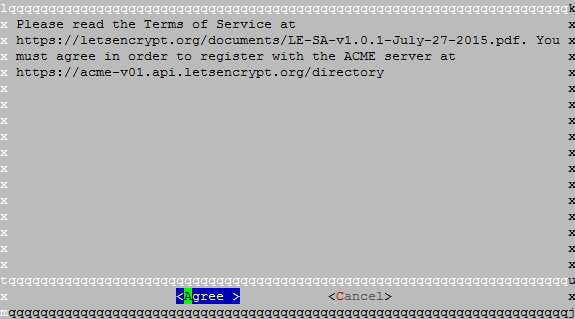 Certbot creates symbolic links to the most recent version of the above files in the /etc/letsencrypt/live/htpcguides.crabdance.com directory, this way the links will always point to the most recent certificate files. Next step is to create a strong Diffie-Hellman group that will add a further level of security. It will improve the security of our nginx web server a lot. You can read more about the Diffie-Hellman group at this link. The default RSA key size of 2048 bit that Lets’s Encrypt uses is perfectly enough for our home web server, therefore we will create a 2048 bit DH key. CertSimple has a nice article about key sizes, if you are interested. When done, we have all the required certificates and keys needed. At this point we have all the required certificates, it’s time to use them and implement the strong encryption setting. Set up password authentication for web server. Create a snippet that will contain the recommended settings to make nginx much more secure. Configure nginx to accept only encrypted https connection (plain, unencrypted http will be automatically redirected to https). Configure nginx to use the Let’s Encrypt certificates we obtained for our site. Add the reverse proxy settings to the configuration for the services we use at HTPC Guides. You can select which of these you want to use. Next you need to enter and confirm your password. Make sure to use a long and secure password! You can always use a password generator or a password manager service like LastPass to create secure and unique passwords. Next step is to create a configuration file in the nginx snippets directory. This file will contain all the security options we would like to use to make nginx more secure. In the nginx reverse configuration file we can include these settings with a single line. These are quite advanced settings, the detailed explanation is out of scope of this guide. You can read an excellent and detailed description at Remy van Elst‘s site, who put together these recommended settings (thank you Remy for the great work!). # Modify X-Frame-Option from DENY to SAMEORIGIN, required for Deluge Web UI, ownCloud, etc. Hit Ctrl + X. Y to save and exit. Don’t close the reverse virtual host configuration file, but copy and paste the following content after the last }. Change the Dynamic DNS address marked with green to your address! You will find the reverse proxy configurations under the # Location settings for reverse proxy section for: Transmission, Deluge, Sonarr, CouchPotato, etc. You should remove the # from the block you wish to use (starting from line location until the } that closes the given location). # then fall back to displaying a 404. You should see the default nginx page. 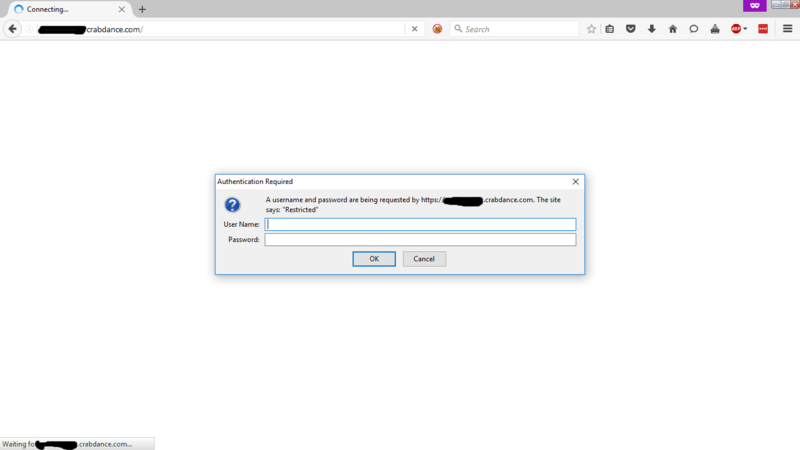 The important part is the green lock symbol in the address bar, it means that you are connected to your server over https and the certificates are valid! You can check the Page Info by clicking the green lock symbol, then More Information (if using Firefox). For example, if you configured Sonarr for reverse proxy, and enabled Sonarr location block in nginx configuration file, then you can access Sonarr by entering your_dynamic_dns_address/sonarr in the address bar of your browser. The Let’s Encrypt certificates are valid for 90 days. You should always renew the certificates before they expire, otherwise they will become invalid. The renewal process is very simple and can be automated using a simple cronjob. Once you have configured the cronjob it will take care of the certificate renewal. Finally, we should test our nginx configuration using Qually Labs SSL Test to get an SSL Report. With the configuration we used, the result should be an A, which is really excellent. It is possible to further harden the security settings to get the highest A+ rating, but that means there will be some settings that might break compatibility for certain services and web browsers, I do not recommend it at this point. Do note, Qually Labs change the grading based on current security standards, meaning: the same configuration that gave you A+ today might give you A few months later. For example, these settings gave A+ two months before the publication of this guide. Until you get at least an A, the setting should be fine. To test your nginx web server, open Qually Labs SSL Test in your browser, and enter the dynamic DNS address of your server in the Hostname field. If you don’t want to show results on boards, tick the Do not show the results on the boards option, then click Submit. 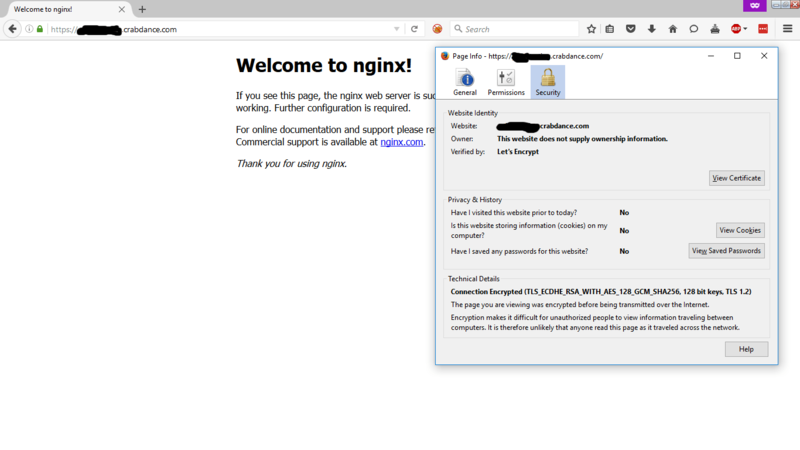 This is it, you have your nginx web server and reverse proxy up and running using a valid signed certificate with very decent security settings. Now when you access your web server or services behind reverse proxy, the connection between your device and server will be encrypted and secure. If you use nginx reverse proxy to access your services outside of your local network, I strongly recommend to forget about plain http connection and make sure you are using https. You should consider using fail2ban to prevent brute force attacks on your nginx reverse proxy – guide is here.